The Georgia Veterans Education Career Transition Resource (VECTR) Center at Middle Georgia State University formally opens its doors during a ribbon-cutting ceremony scheduled for 10 a.m. Tuesday, Aug. 2. 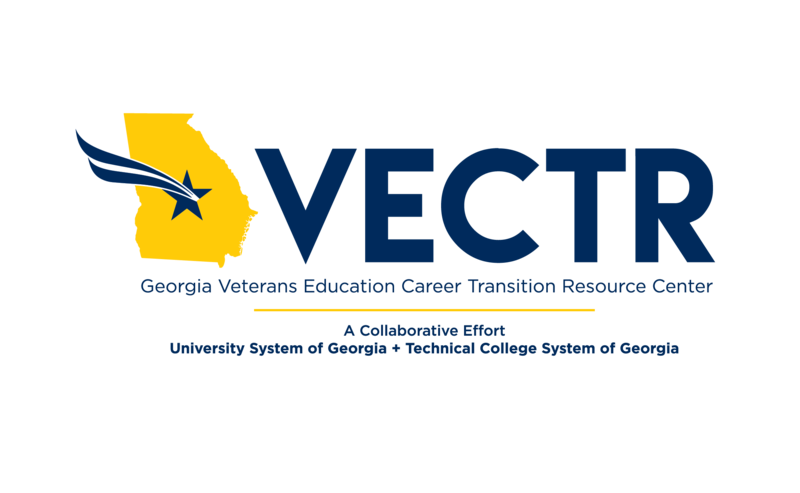 VECTR is a collaborative project between the University System of Georgia and the Technical College System of Georgia to provide a dedicated facility for helping Georgia veterans and active-duty military throughout the state join the civilian workforce. Administration of VECTR operations will be managed by Middle Georgia State University (MGA); MGA and Central Georgia Technical College will offer academic courses and workforce training at the Center. Media are cordially invited to cover this invitation-only event and join others in attendance for a tour, followed by refreshments. Please let us know if you will be attending by contacting Sheron Smith at sheron.smith@mga.edu or 478-757-6687. The VECTR Center is located at 1001 S. Armed Forces Boulevard in Warner Robins, behind Huntington Middle School. Among those scheduled to attend the formal opening are Dr. Ivan Allen, president of Central Georgia Technical College; Dr. Christopher Blake, president of Middle Georgia State University; Gretchen Corbin, commissioner of the Technical College System of Georgia; David Cyr, CEO, Parrish Construction Group; Hank Huckaby, University System of Georgia chancellor; Patricia M. Ross, Middle Georgia State University’s executive director of VECTR; Randy Toms, Warner Robins mayor; Larry Walker Jr., Board of Regents representative; and Georgia Sen. Larry Walker III. Larry O’Neal, Chief Judge of the Georgia Tax Tribunal, will give the keynote address. The state of Georgia is home to more than 750,000 military veterans, according to the U.S. Department of Veterans Affairs. In fiscal 2014, Georgia veterans received nearly $529 million in educational and vocational rehabilitation/employment benefits. Planning is underway for a VECTR open house for the general public. • The Georgia VECTR Center is a new, advanced facility with multiple programs and services focused on serving Georgia’s veterans, active military personnel and their families statewide. • Construction on the state-funded $10 million VECTR Center began in 2015. • The 32,000-square-foot facility is a joint project of the University System of Georgia and the Technical College System of Georgia. • Administration of VECTR operations will be managed by Middle Georgia State University (MGA); MGA and Central Georgia Technical College will offer academic courses and workforce training at the Center.